Here’s your chance to see how the latest official “new” trail is progressing. AFCD have been working hard behind the scenes to ensure this will be one of the best yet. Mountain bikers will need to apply the finishing touches, everybody is invited to have a look, get dirty and get building! Your input is not only welcome but essential. 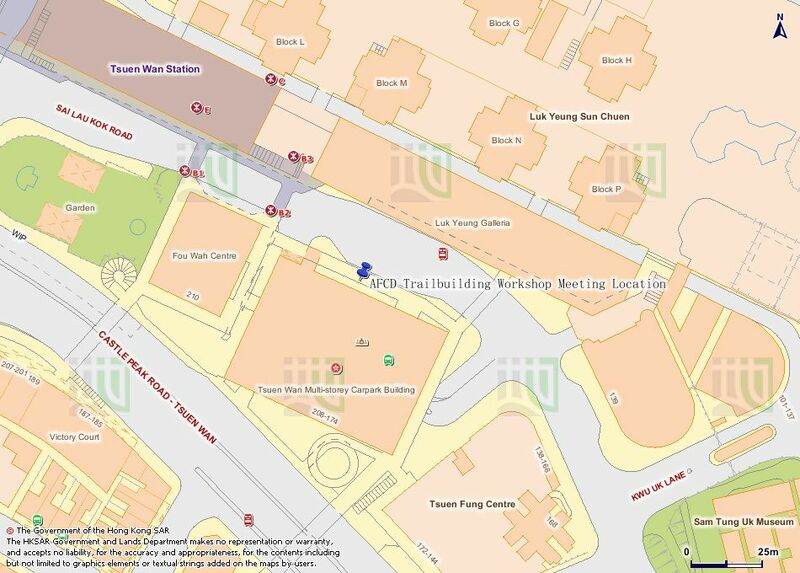 Public Transport to the Twisk Management Centre: AFCD will provide a bus from Tsuen Wan MTR at 8:30am and will return after trailbuilding, approximately 3:30pm. The trail is in the middle of the country park, so please bring plenty of water, food and gloves for working. AFCD will provide transport within the country park.